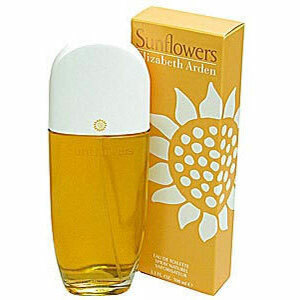 Floral fruity fragrance launched in 1993. It was designed by David Apel. The top notes are composed of luminous lemon notes, rosewood, orange blossom, sweet juicy mandarin, bergamot, melon, and sweet peach. The heart brings notes of cyclamen, rose, pure jasmine, osmanthus and iris root. The sensual base is composed of musk, cedar, amber, moss and sandal wood. The joyous sunflowers make a nice contribution to this bright fragrance.